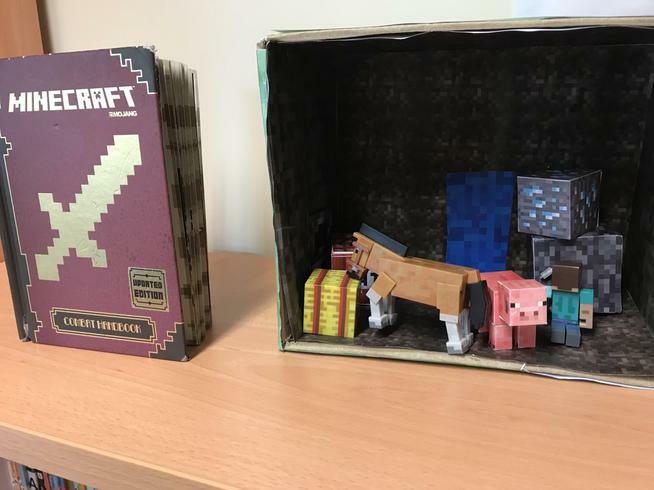 A slightly different book in a box was delivered today by Max - the book chosen was 'Minecraft: the combat edition'. 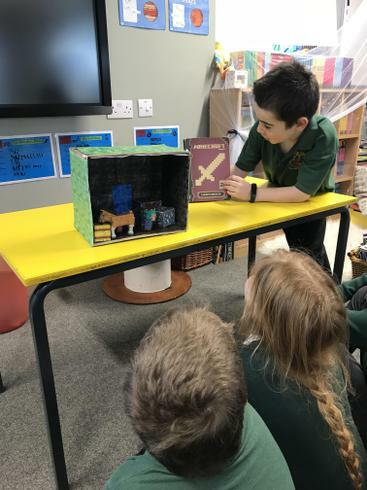 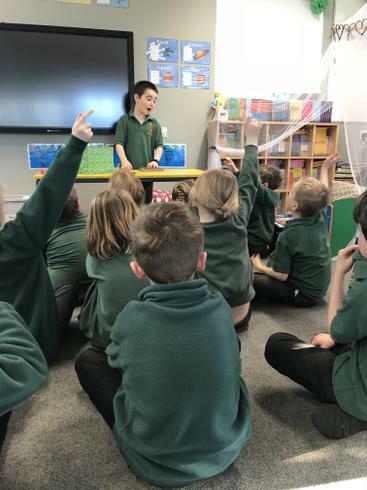 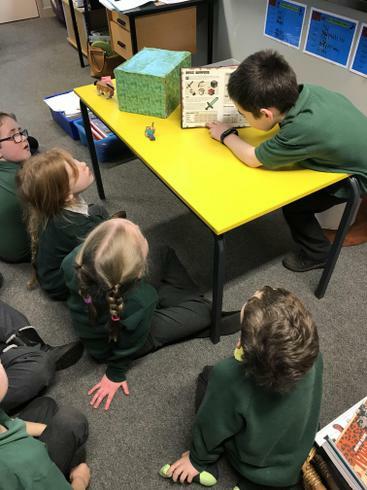 The class loved Max's choice of book as many play the Minecraft games and have the books themselves; everyone was eager and excited to see how Max had transformed a box into all things Minecraft! 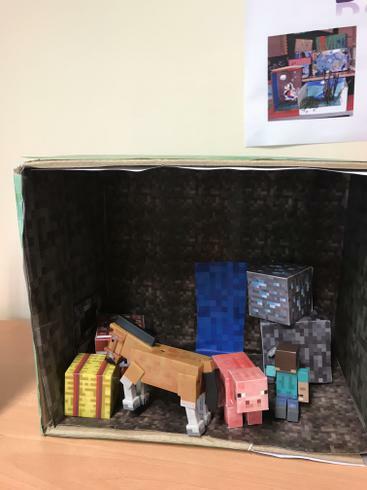 We were also treated to a very theatrical performance of a scene from his game including pig and Steve; which received many laughs from the class! 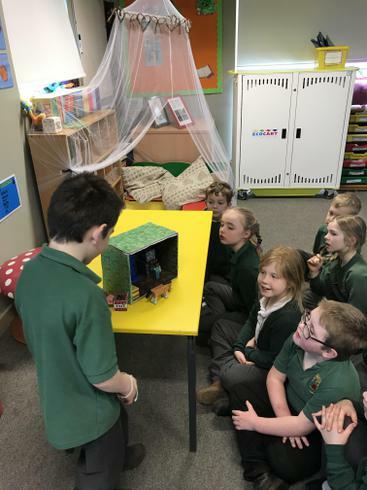 Well done Max, you put a lot of thought and imagination into the design of your box; good work!